This painting has another name of "What the Water Gave Me". In one conversation with her friend Julien Levy she explained this painting as: "It is an image of passing time about time and childhood games in the bathtub and the sadness of what had happened to her in the course of her life". Not like most of her other painting, this painting doesn't have a dominant main focus. It has some symbolic representations for the various events in Frida's life. It also incorporates many other elements from her other paintings. 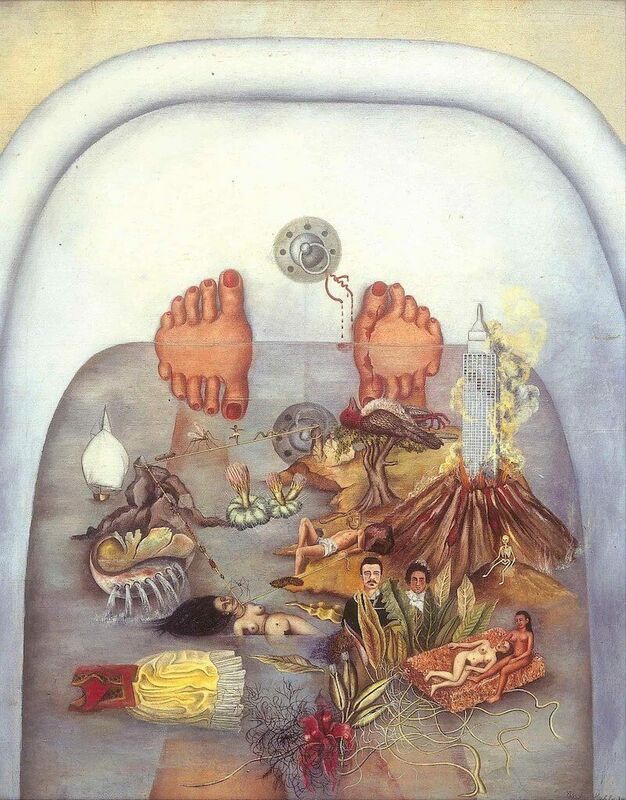 Although Frida Kahlo never considered herself a "Surrealist" this work is painted in a "surrealistic" style. In the water the reflections are her images of life and death, happiness and sadness, comfort and pain, as well as her past and present. In the middle of these images lying Frida herself. She seems drowned in her imagination and blood was coming out from her month. This painting was signed and dated as "1939". But it was painted in the previous year instead. This painting was exhibited in Paris by Andre Breton in January of 1939 unsigned and undated at that time. When the painting went back to Mexico Frida Kahlo signed it and put the date as "1939". This painting was given to Frida's photographer lover Nickolas Muray to repay $400 debt she owed him.